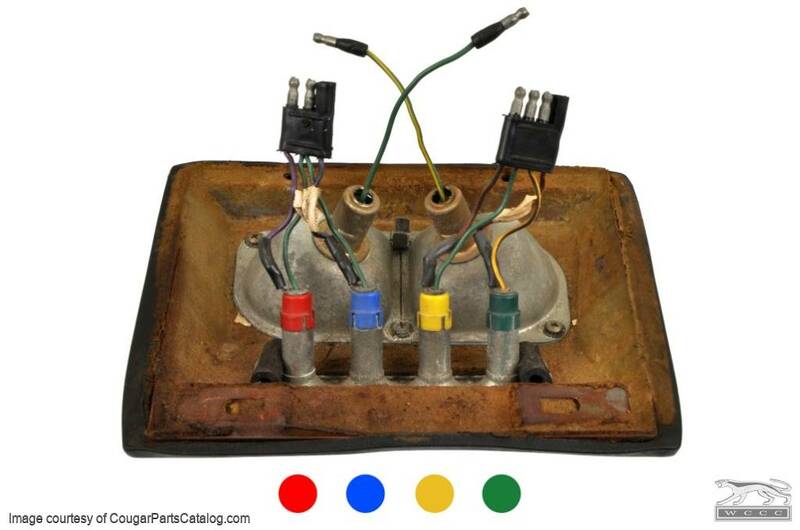 Used 3 pin connector and light socket harness for the 1967-68 Mercury Cougar overhead console harness for seat belts and door ajar indicators. Blue and red light sockets. 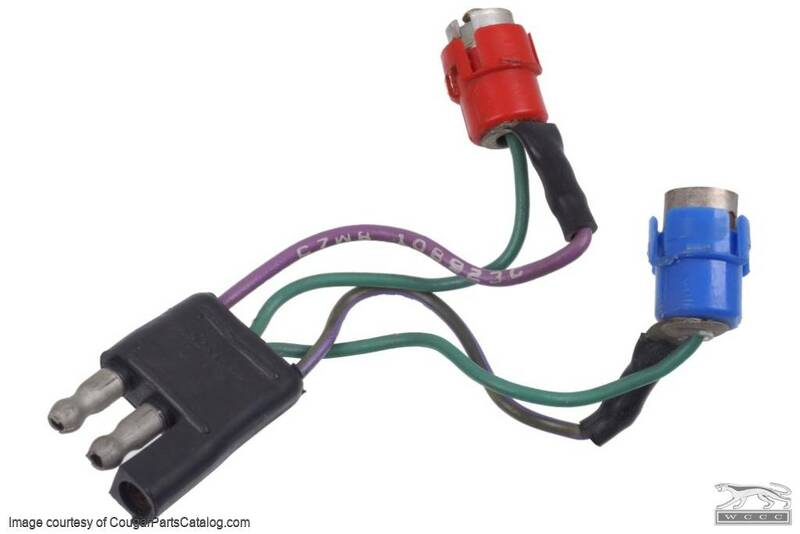 These are the same sockets for the seat belt reminder and door ajar warning lights on the ultra rare Safety Convenience Option offered in 1967-68 on both the Cougar and Mustang.